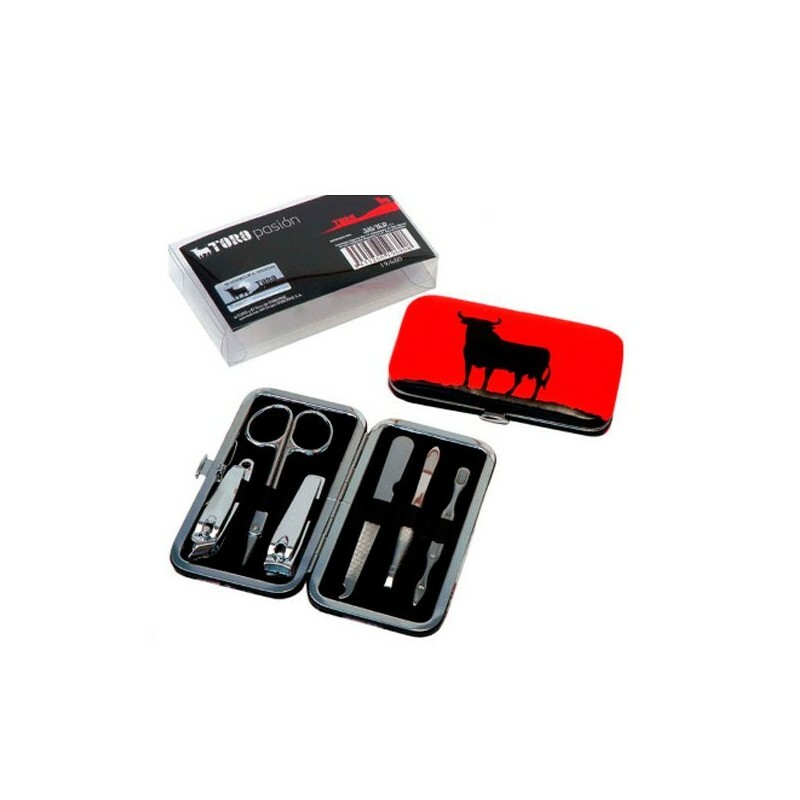 Toro de Osborne manicure includes: nail clippers, scissors, pliers, file and tweezers. Appropriate size for the purse and to carry on his travels. Toro de Osborne brand licensed product.